Because of my occupation, I receive nearly all the flying magazines and newspapers either by subscription or through comps. My agency runs ads in many of them for our aviation clients, so as part of a day’s work, I stay up on what’s what inside these publications. It is through this daily process that I determined long ago that my favorite among all of these magazines is AOPA Pilot. Editor Tom Haines works the helm at Pilot with a consistent mastery that delivers appealing, newsworthy stories every issue. When you mix their outstanding editorial content with Mike Fizer's cutting edge air-to-air photography, AOPA Pilot is hard to top. They relate to all pilots on all levels, and offer an insight in the battles GA faces in Washington that no other magazine can touch. Up until recently, select portions of AOPA Pilot could be found online. 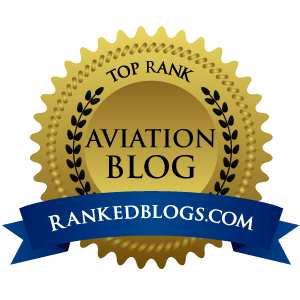 It was nice, but in AOPA’s never-ending efforts to completely blow our minds, they have taken their online magazine experience to a new level. One word sums up this latest move by AOPA: Multimedia. Visit their new site here and check out the beautiful new streaming video stories, part of the “Members Only” features. There’s enough surprises on this new site to keep you from actually doing any real work on your computer for quite a while. If you are a member, click here for a piece on the American Barnstomers Tour. What, you’re not an AOPA member? Are you NUTS? Had your head examined lately? So just who do you think is going to fight for GA up on Capitol Hill…Marion Blakey? 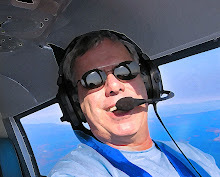 For just $39 bucks a year, you get the enormous power of AOPA at your fingertips. You get their legislative team up there on the Hill duking it out with the Bushies who want to stab us in the back with user fees and send GA back to the stone age. But best of all, you get each issue of AOPA Pilot delivered right to your door. Imagine that, right to your door, through rain, snow, sleet and even hail. If you are not a member, do the right thing and join today. Then go check out the multimedia wonderland that AOPA’s whiz kids have put together.